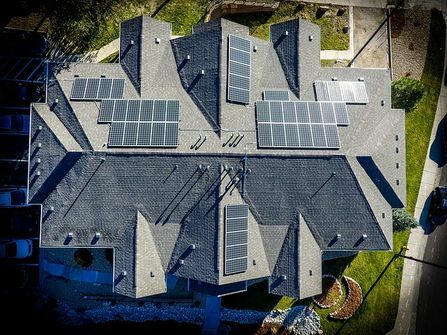 Cutting down expenses by reducing the use of energy is just one among the many benefits why a lot of homeowners go solar. Going solar for your houses is also something that could be extremely beneficial in improving the environment. It is also an excellent way in increasing the value of your property as more and more people are more educated and becoming more aware of the environment and the carbon footprint they left. Solar-optimization benefits for your house could only benefit both you and the environment. Optimum natural light is something to be expected from well-designed and well-constructed passive solar houses. This greatly reduces energy consumption as the natural light from the sun could be maximized in usage, preventing the use of electric lights throughout the day even during the time the sun is about to set. Taking photographs of well-lit rooms for your property listings could cut cost down considerably, and it’s just difficult to deny that bright rooms have an alluring appeal and a very comforting atmosphere to it. The main function of dwellings and houses is to protect you from climates. One of the best construction that does this is the passive solar house design. The solar houses are capable of taking this a step further by protecting you from the climates with minimum use of electric devices such as the thermostat. The mechanism of solar houses allows the building to keep the warmth inside and not letting it out during the cold months, while in the case of warmer days, it distributes the warmth well and in keep the insides cool. Electricity could make up a huge portion of your overall expenses. The decision to go for passive solar houses could eliminate so much off of your electricity bills to the point that it would no longer be a major concern for your monthly expenses. However, other factors do contribute to this point, for example, your behavior in using electricity; how much you’re used to consuming and how long. However, environment influences behaviors greatly; therefore, the shift to passive solar houses is sure to influence many of your behaviors when it comes to electricity. A number of studies have found that passive solar houses sell faster with a greater value when compared to similar homes around the area. A lot of people are becoming aware everyday of the environmental effects humans made to the planet through a lot of factors in life, energy consumption being a major aspect. Major increase in properties demands in passive solar houses, quite expectedly, have been the highest in the areas where electricity rates are the highest.